Most folded leaflets are zero VAT - click for more info. Business card size zigzag leaflets from 6 pages up to 12 pages are also available as well as custom sizes - Please email for a quotation. This is a 12 page concertina leaflet zigzag folded on the long edge. Also available on 170gsm or 250gsm for most items (at extra cost). 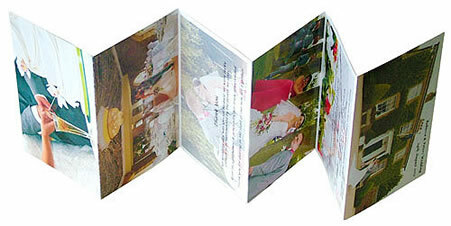 Concertina or Accordion folds can be from 6 pages up to 16 pages for A6 and DL, 12 pages maximum for A7 and A5. Metallic gold and silver ink is an option on most litho printed items. Other sheet sizes and styles of folding are available - cross folds, map folds, roll folds and so on. Product Description: A concertina fold leaflet is a continuous folding of brochures and similar printed material in an accordion-like fashion, that is with every other fold made in the opposite direction. Because they do not nest (as in Letter or Roll Folds) panels are generally the same size. Seen from above, concertina folds resemble a Z, W or M i.e a series of zigs and zags. 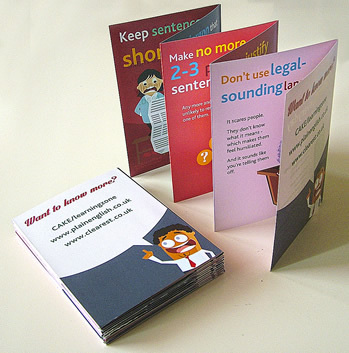 A4, A5, A6, A7, DL, CD and some square sizes are available as Concertina and accordion folded leaflets, flyers and brochures. Free proofs. Free delivery. Free document check. Free email proofs. A5, A6, A7, DL, concertinas, concertina leaflets, concertina brochures, concertina flyers, accordion fold, zigzag, z-fold, zed fold.